These days being someone's sponsor has a lot more responsibility tied to the task. You can no longer just take someone out for a drive half heartedly for 30 minutes and give no guidance on their driving. The role of the sponsor is so important and combined with their ADI helps with the success of the learner driver. 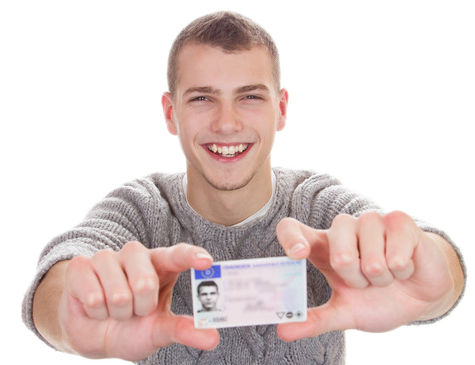 Your guidance and support is key in helping a learner driver become a well rounded safe driver. Do give this role some thought before you accept straight way. In order to be someone’s sponsor you need to have a full driver's license for at least 2 years, preferably 5 years and have driven at least 100,000 kilometers in that time. Your role is equally as important as the learners ADI. So it’s very important that you work together as a combined effort will help the learner driver obtain the skills they will need to drive. If you are chosen to be someone’s sponsor you will need to create a learning schedule that works for you and the learner driver. It is advised to have a route thought out before you begin your filler lesson and always look over the learner drivers comments from the previous lesson to ensure you focus on what is needed to be practiced and improve. The learner driver's EDT logbook is also an important document for you, the sponsor. It will clearly state what lesson has been completed and it will have comments from the learner driver’s ADI. This will enable you to structure your filler lesson correctly, focusing on what was taught in the last lesson with their ADI. This lesson is really for the learner driver to practice and for you to guide and support them along the way. Instead of your filler lesson having no structure or planned route we think you should have this thought out before the lesson starts. If the lesson is structured around practicing what the learner driver learnt in their last EDT lesson it will be way more beneficial for the learner driver. There is no point wasting your time and the learner driver’s time with no preparation. This is the last thing they need.The logbook should be your guide. It is also advised to brush up on your knowledge of the rules of the road, in the long run you both will benefit from this. It is also important to remember to work with the learner drivers ADI, a good relationship between you both will ensure the learner driver has the best people around them helping them become safe and knowledgeable drivers. So you’ve accepted the role of a sponsor...what next? We encourage you to meet the learner drivers ADI to discuss a plan of action. The ADI will have useful tips on what you should do to support the learner driver, when you should have your filler lessons and filling out the logbook correctly. The RSA School of Motoring ADI’s also welcome any sponsor to ride in the back of the car during an EDT lesson so you can understand how the lesson should flow and give you pointers on how to perform your own filler lessons.